The number of teardrop trailer manufacturers is constantly growing as the demand for affordable recreational vehicles increases. There are companies who manufacture hundreds per year and then there are individuals who custom build a dozen a year. 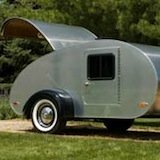 On this page we will find and discover the ins and outs of as many teardrop trailer builders we can come across. Dan Workman builds and sells high quality hand made teardrop camper trailers. They’re individually made and very affordable. So-Cal Teardrop Trailers is located in Upland, California. 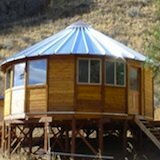 They utilize CAD design and CNC routers to aid with the manufacturing and engineering of their campers. This ensures perfect fit and finish along with durability. They offer four different models and require 4 to 6 weeks to complete a trailer but usually have ready to sell units in stock. In addition they offer teardrop trailer kits so that you can build your own while utilizing their technologies. HappiTrails is a teardrop trailer manufacturer based in El Paso, Texas. Their campers are inspired by the classic teardrops of the 1940s. Cozy Cruiser is located in Oakridge, Oregon. John DeJonge has an engineering background and has brought back the classic teardrop trailer from the 1940s with a touch of modern design and comfort.Big Woody CampersBig Woody Campers builds hand-crafted teardrop trailers one at a time. Their goal is to provide clients with high quality teardrop trailers at an affordable price. 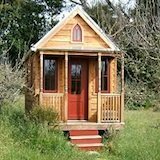 They can even help you build your own with their plans and technical support. They currently offer four different models and they are located in Chippewa Falls, WI. Little Guy was an idea born at the end of 2002 in North Canton, Ohio. The idea was to bring back the classic teardrop camper trailer and make it available to the masses. What started out in a garage is now a manufacturing facility that produces more than three campers per day. There are now thousands of Little Guy campers on the road with over 17 different models to choose from. 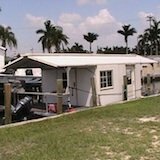 Enjoy an inside out video tour of the Go Little Guy R/T Trailer plus have a peak at the Little Guy warehouse facility. For more teardrop trailer manufacturers and info visit our teardrop trailers section.